As Jawbone officially died and Jawbone Health rose from its ashes, the company put together a (poorly communicated) transition plan, which includes Health Hub servicing all Jawbone hardware in the future. The Jawbone UP service is one of the features that'll be transitioned over to Health, but the service is currently seeing some disruptions. Jawbone users have been complaining about it not working, and not being able to sync their devices to UP over the past day or so. Jawbone Health says the transition plan to keep the UP service going is now in the last phase. Unfortunately, that also means that the service might go down for stretches, which is what a lot of users are experiencing. Jawbone assures that data on the servers won't be lost and that your trackers will keep data stored and transfer it over once the servers are back up. We still don't know too much about Jawbone Health, other than it's going to focus on medical-grade tech. Many Jawbone employees have also migrated over to Jawbone Health, including CEO Hosain Rahman. It's a good thing the company appears to be dedicated to keeping the UP service afloat, though it could also do with communicating issues like transition-based service disruptions before they happen, rather than after they happen. Similarly, back in October Jawbone's servers stuttered and users were unable to sync their data for days, raising the fears that Jawbone had finally shuttered the service. The company soon clarified that it was an error and that it was not shutting down service. Jawbone Health is still in its infancy, with a few dozen employees. 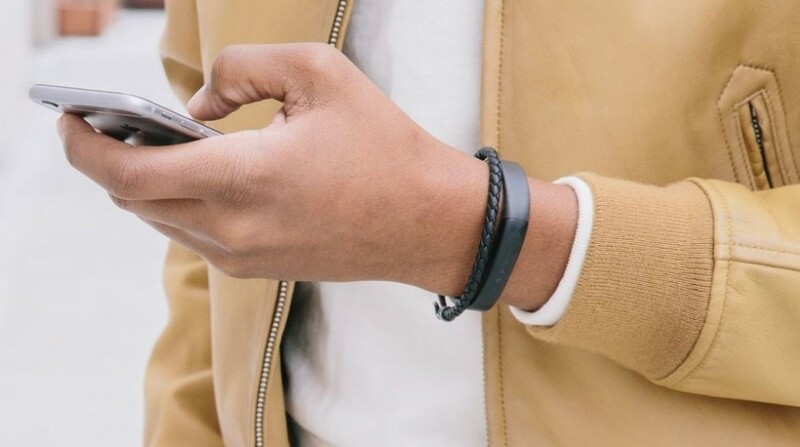 Bloomberg reports it's also looking for money from investors to fund the company as it attempts to both service original Jawbone customers and chart a future. For the past week the UP network server has not worked, so I've been unable to input data (food ate). Only activity (steps) are still counted and sleep tracker. Heart rate is not detected while network server is down. . Frankly this UP4 is now useless unless the UP server works again. A faithful UP band user for 4 years ..(even though had to replace UP bands 4 times because bands eventually crack and break.). No customer support ..(Used to be wonderful). There wasn't even a notice on a website that the product wouldn't work anymore. ..Now I'm ready to give it up on UP. I've been experiencing the same thing. It's been a week today that the servers are not communicating with my device. Very disappointed that there was no communication about this. I was ready to throw out my tracker today, until I read this recent post. It is the most recent post I could find...I too have been a faithful UP user for the past 4 years, and have replaced 4 trackers due to cracking and breaking! This is no way to manage a business. I have not seen any official communication from Jawbone about their plans to migrate to new servers or any updates about the outage. At the time of writing, their servers and services have been down for 8 days. Even their main website is down. This is what you would expect from a fly-by-night insurance company. So, how much time do we give them to come back, if that is their intent? It Would Have Been Good For Jawbone To Advise It Members Of The Situation When It 1st Began! After All They Pretty Much Have All Our E Mail Addresses! My Log On Has Totally Failed! It Keeps Saying Log On Or Password Cannot Be Validated!! I Cannot Even Request A Link To Reset The Password!! So Crazy!! I Have Been A Member Of Jawbone Along With Many Other For A Fair Few Years So Rather Annoyed! I Love My Jawbone Tracker! Motivated Me To Work Hard & Achieve Lots Of New Goals! Please Let Somebody Know When You Are Back Online. I just bought the Jawbone Up Move. I tried to set up my account, and ... nothing. I tap submit, and it doesn't do ANYTHING. Should I just return it and choose a different tracker brand? The Up Move was my absolute favorite tracker - I wanted simplicity and accuracy and it was both, plus great customer service. I'd say return yours for now but once the company is up and running again, I would highly recommend the Up Move. I'm just super happy to read here that they are planning on renewed support for this model. will it work with google fit or anotber app? jawbones site is still down 2 mos later. Have my jawbone for years and hope I can get UP support service again. Could someone email me when it is available? Thanks. I have a brand new Jawbone fitness tracker still in the box. Would not have bought had I known it was WORTHLESS!!! Is this company going to be honorable and get up and running again? Very bad business not informing customers. No excuse! We paid $$$ for their product and now it is useless (until they setup again, IF they setup again). Thinking we all should band together and demand refunds or sue for misrepresentation of product .